BIM is the current star player in the construction industry. Although the technology has been around for about a decade, a lot of buzz has been created about BIM in the field for the past two years. We all know that it stands for building information modelling but what is BIM really? BIM is the process spanning the generation and management of the physical and functional information of a project. The output of the process are what we refer to as BIMs or building information models which are ultimately digital files that describe every aspect of the project and support decision-making throughout a project cycle. It has been thought that BIM is nothing more than 3D modelling but it actually involves more than that. BIM and the subsets of BIM systems and similar technologies feature more than just 3D (width, height, and depth) but may include further dimensions such as 4D (time), 5D (cost), and even 6D (as-built operation) (Smith, 2014). Building Information Modeling (BIM) is a digital representation of physical and functional characteristics of a facility. A BIM is a shared knowledge resource for information about a facility forming a reliable basis for decisions during its life-cycle; defined as existing from earliest conception to demolition (NBIMS-US, 2016). This definition seems to be what the rest of the construction industry recognize across the globe (Smith, 2014). As mentioned earlier, BIM covers more than just geometry — it covers “spatial relationships, light analysis, geographic information, and quantities and properties of building components” (Eastman, 2009). What BIM is, is representing a design as combinations of “objects” — vague and undefined, generic or product-specific, solid shapes or void-space oriented (like the shape of a room), that carry their geometry, relations and attributes (Eastman, 2009). BIM design tools allow the extraction of different views from a model for the production of drawing among other things. These different views are automatically consistent, as they come from a single definition of each “object instance” (Eastman, 2009). Objects are also defined as parameters and relations to other objects, so that if there are changes in a related object, dependent or adjacent ones will automatically change or adjust (Eastman, 2009). Each element of a building model can carry attributes to automatically select and order them where cost estimates and material tracking and ordering can be provided (Eastman, 2009). The various subsets of BIM are described in terms of dimensions — 3D (object model), 4D (time), 5D (cost), 6D (operation), 7D (sustainability), and even 8D (safety) (Smith, 2014). This multidimensional capacity of BIM has been defined as “nD” modeling as an almost infinite number of dimensions can be added to the building model (Smith, 2014). The 4D model links construction activities to time schedules and 3D images that result in a real-time graphical simulation of the construction progress. The “time” dimension enables the evaluation of the buildability and workflow planning of a project. Everyone involved in the project can easily and effectively visualize, analyze, and communicate problems in the sequential, spatial, and temporal aspects of the construction progress. This results in better schedules, site layout and logistic plans that generate improvement in productivity. The 5D model adds the dimension of “Cost” to the BIM model and allows instant generation of cost budgets and financial representations of the model against time. This improves the accuracy of estimates, minimizes dispute incidents that CAD data usually cause, and allows cost consultants to spend more time on improving value. The 6D model enables facilities management to be added to the BIM. Adding rich description of building elements and engineering services with elaborate descriptions to the geometry, relationships, and property capabilities make the BIM a perfect facilities management database. The 7D model incorporated sustainability components to the BIM — it allows for professionals/designers to meet carbon targets for a specific element of a project and validate decisions or test and compare options. The 8D incorporates safety aspects in both the design and the construction process. BIM and allied quantities technologies provide opportunities for the project but also challenges for the project manager. 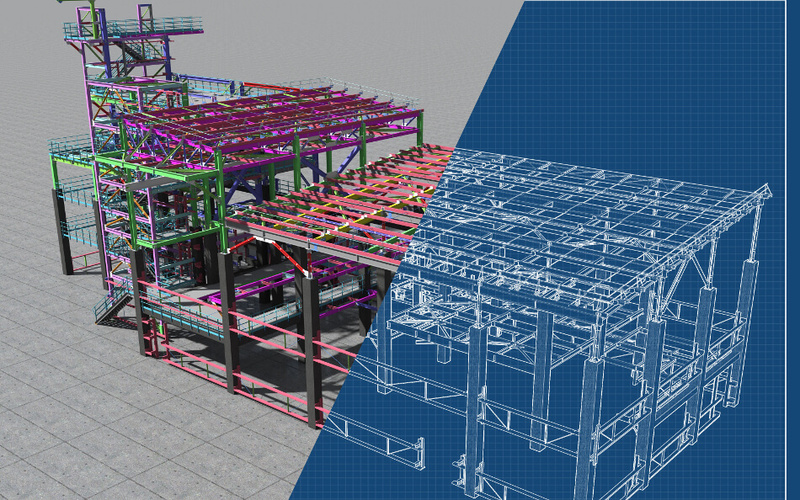 As automation is increasingly used in quantification in the construction industry, BIM models will need to adapt accordingly to allow for more sophisticated management components that incorporate 4D time and 5D cost modelling and sharing this information with the project team in an integrated project delivery approach. However, BIM is just not about new software and technology. 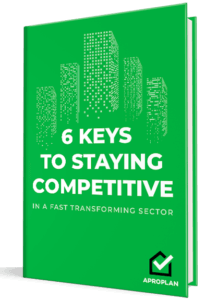 It requires an alternative way of thinking and a different approach to project procurement and delivery. It is imperative to move from the traditional approach of project participation with separate information pools and incompatible software technologies to one that is totally integrated with a common platform where participants can share and work on the same information. The BIM is the ultimate tool for this (Smith, 2014). The idea of BIM was conceptualized in the 70s and was initially called the Building Description System (BDS) (Eastman et al., 1974). The term “building model” was first used in 1985 in an architectural design paper on computer-aided drawing and computer-aided design (Ruffle, 1985). And in 1992, the term “building information model” was first used in a paper discussing automation in construction (van Nederveen et. al, 1992). It wasn’t until 10 years later, though, when the terms building information modeling and building information model (including the acronym BIM) became popularly used. It was in 2002 when Autodesk published a paper entitled “Building Information Modelling” and various software developers and vendors got involved in the field and the term was standardized to mean as the common name for digital representation of the building process (Laiserin, 2008). Other terminologies of the similar format have been used by different makers — they were “Virtual Building” by Graphisoft and “Integrated Project Models” by Bentley Systems. Graphisoft developed early system solutions longer than the competitors in the market and was responsible for ArchiCAD, which was then “one of the most mature BIM solutions in the market” (Laiserin, 2003). It was regarded as the first BIM implementation in 1987 and was the “first computer-aided design (CAD) product on a personal computer able to create 2D and 3D geometry, and the first commercial BIM product for personal computers” (Forbes et.al, 2010). In a McKinsey report, one study found that 75% of companies that have adopted BIM reported positive returns on their investment with shorter project life cycles and savings on paperwork and material costs. Because of these benefits, various governments like Britain, Finland, and Singapore, mandate the use of BIM for public infrastructure projects (Agarwal et.al, 2016). In small specialty studies, BIM appears to be increasing productivity in labor. In a study involving a small contracting enterprise, the impact of BIM on labor productivity was quantified and findings demonstrated a 75% to 240% increase in labor productivity for modeled and prefabricated areas (Poirier, 2015). For the professionals (architects, surveyors, engineers) involved in an infrastructure project, BIM allows for a virtual information model to be communicated from the design team to the main contractor and subcontractors and then to the owner/operator with each specific professional adding specific data to the single-shared model. The whole system is designed to reduce information losses that traditionally occur especially when a new team takes over a project. It also provides extensive information of complex structures (Eastman, 2009). Utilizing building information modelling solutions in the construction sector resulted to higher quality work, greater speed and productivity, and lower costs for building professionals in terms of design, construction, and operation of buildings (Laiserin, 2002). Higher Quality. BIM allows for flexibility in the exploration and changes to the project design or documentation process at any time without any hassle to the design team. This results in minimized coordination time and manual checking that enables the design team to have more time solving real architectural problems. Common modelling tools provide close control over technical and detailed decisions regarding design execution. The digital record of building renovations improves planning and management. Greater Speed. BIM enables for design and documentation to be done concurrently instead of serially. Schedules, diagrams, drawings, estimating, value engineering, planning, and other forms of work communication are created dynamically while work is progressing. BIM allows for adaptation of the original model to changes like site conditions, etc. Lower Cost. Using BIM allows for more work to be done by a smaller team. This means lower costs and lesser miscommunications. Less time and money are spent in process and administration because of higher document quality and better construction planning. Improving productivity via easy information retrieval. Increasing coordination of construction documents. Linking of vital information such as vendors for specific materials, the location of details and quantities required for tendering. Building information modelling and automated quantities technologies can provide the industry with consequential opportunities to raise the quality of the industry to a much higher and sophisticated level. Having the capability to simulate a range of data options with real-time cost advice and carry on throughout the detailed design, construction, and operational stages, BIM will surely place construction practices at a higher value. This article is the first in a series covering building information modelling (BIM). Supplement this reading with articles discussing the history of BIM, the roles in a BIM project cycle, the challenges and potentials of this emerging construction technology, what are its future implications, and the common myths surrounding its use. To add to your productivity repository, you might want to download the ebook, The Circle of Productivity.